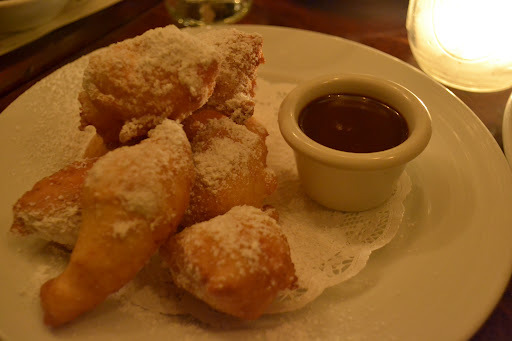 On my Friday night in New York I participated in a dine-around. I selected an amount I was willing to spend on dinner and then got grouped with other people from the conference to eat at a particular restaurant. In my case it was Crispo, an Italian restaurant in the Chelsea district. We basically ate their entire menu. They brought out an array of dishes for each course (except the pasta which was individual) and we then sampled and shared all the different plates amongst ourselves. 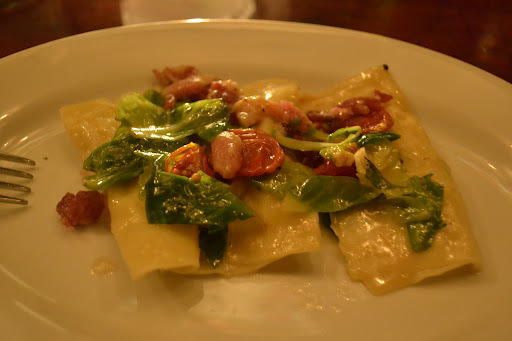 My personal highlight was the pasta course – corn filled ravioli with pancetta and brussel sprout leaves. It was creamy and starchy with a salt kick from the pancetta. Other highlights included the pork belly main and pistachio ice cream.